These crawfish are not-so-little monsters. The people behind Padna's Cajun Eatery are so eager to start serving their Cajun delicacies to Houstonians that their soft opening even had a soft opening over the weekend. It was a crawfish boil and was heavily attended by friends and any family members who weren’t actually behind counters or on the floor greeting customers. 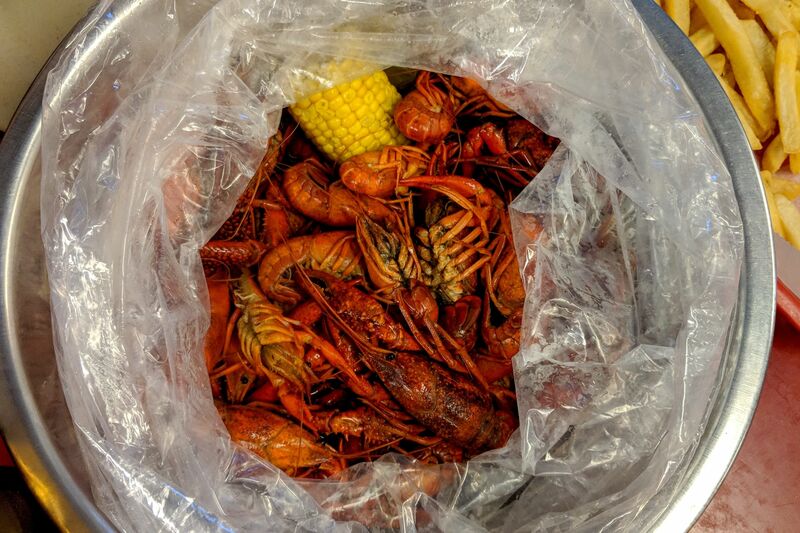 The boil offered a glimpse of what’s to come when the Montrose-area restaurant opens its doors May 18 for its actual soft opening, ahead of a June 1 grand opening. 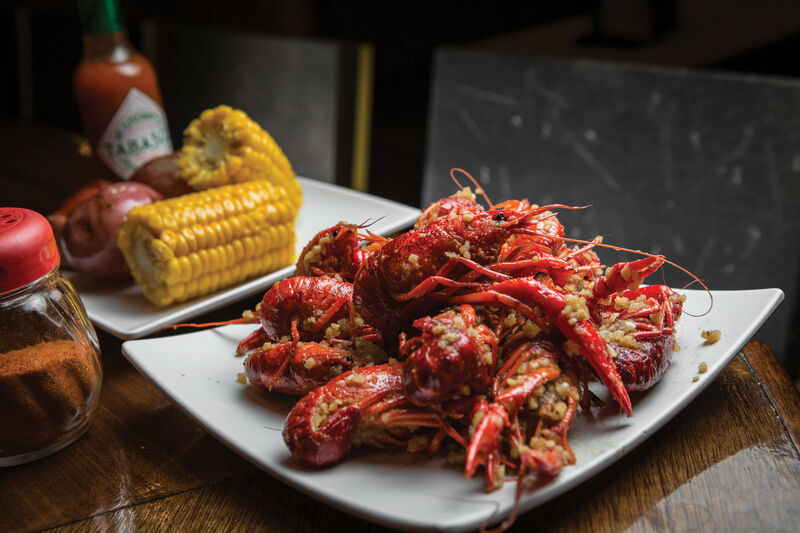 If the day’s vibe carries over into routine operations, expect a dining experience that feels like a friendly backyard boil, with mammoth crawfish served in the traditional Louisiana style. 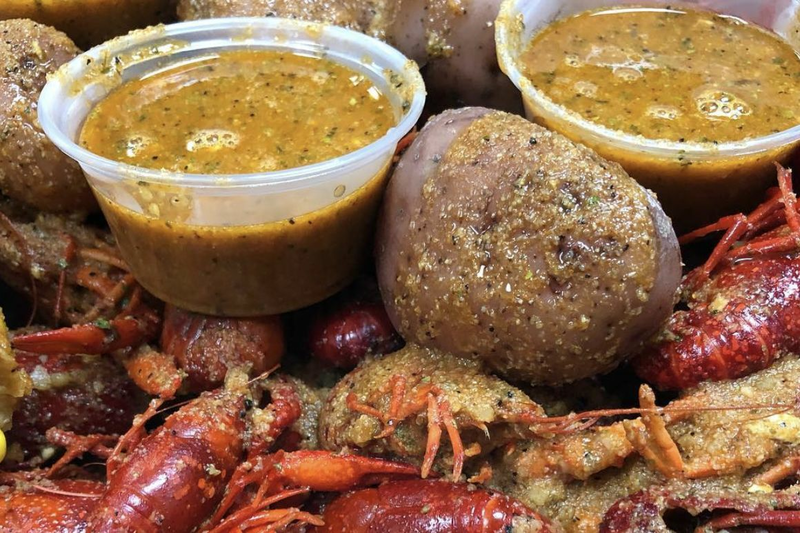 “We think there are so many options in Houston for crawfish. 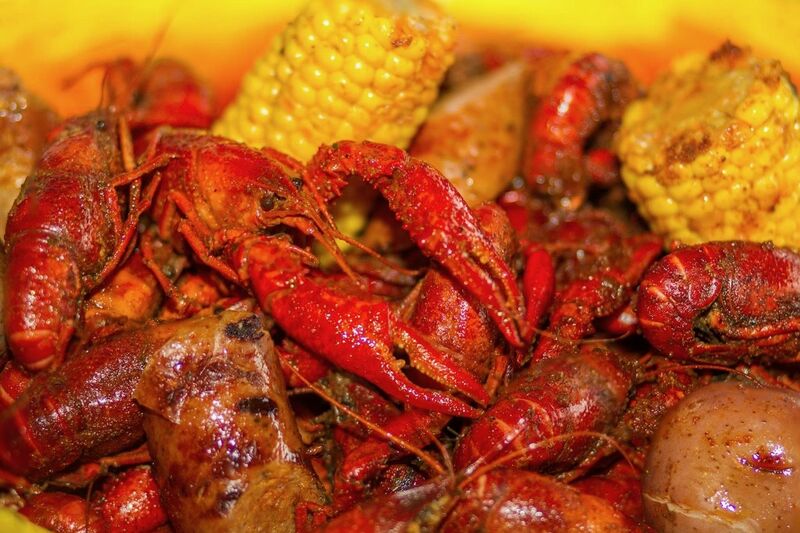 We want to introduce a very authentic, real gourmet style without having the white linen and frills, just kind of a down-home bayou experience with true Cajun hospitality,” owner Ryan Eglé told us between running pounds of handsome, blood-red, gargantuan boiled mudbugs to hungry guests. Fowler’s a Dallas native who’s been in Houston about four years, cooking in high-end restaurants like Del Frisco’s, Masraff’s and Vallone’s. Eglé moved here three years ago and once owned a group of Saxbys Coffee locations in Washington, D.C.
“We used to live in the same building and we would hang out a lot and do some cooking together. He decided to create this culture and called me on board and we’ve been having some fun, that’s for sure,” Fowler said. Eglé grew up in south Louisiana in a town called Cut Off —“Cut off from the rest of the world,” he jokes— and there are literal signs of his upbringing in the restaurant, including wooden placards pointing towards places like Thibodaux and Port Fourchon. The space, located at 403 Westheimer, was formerly inhabited by Biskit Junkie. For now, Padna’s is retaining some of the décor it inherited. It’s a single, open and bright room with about a dozen tables and plenty of bench and patio seating. Bits of Louisiana flair include metal sculptures of catfish and pelicans and a crab trap lowered from the ceiling’s skylight to add to the sensation that this is all a big underwater party. The restaurant will open at 11 a.m. daily and close at 10 or 11 p.m., Eglé says. Its complete menu will include appetizers like boudin balls and stick-to-your-ribs meals like red beans and rice and fried catfish. Beignets, café au lait, and daiquiris to go are all planned as well. The stars of the show, of course, are the crawfish. 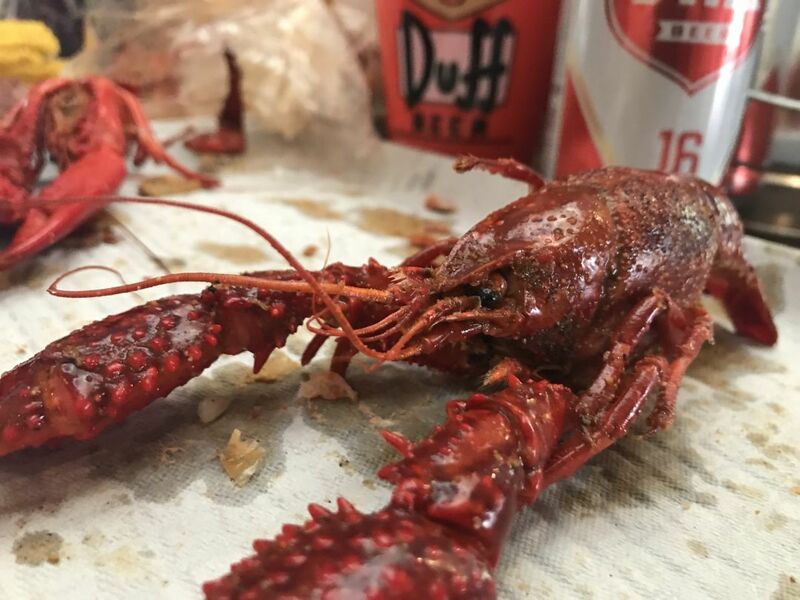 We told Eglé his crawfish could never play in the NFL as they’d be forever under the suspicion of growth hormones. They’re massive, a testament to the pedigree of merchandiser Padna’s is working with, he says. On a first taste, they’re well-seasoned and not overpowering. When you draw all the creamy juices from the heads, you’re not choked by a shock of sodium. These were served with a dollop of tartar sauce and the requisite corn on the cob, potatoes, and sausage links. Two of us split a few pounds and we were full and satisfied when we’d cracked the last shells. Eglé’s fiancée, Ronique, was the friendly face behind the counter when we ordered. His mom made the rounds, ensuring eaters were happy. He said the place is named Padna’s as an homage to his dad, who was also on hand for the very unofficial first day of business. If you don’t feel like family here, he hopes you’ll at least feel like a friend.